Mapeadores returns to the field to compete for the Tilex Ultimate v2 Contest. The rules are simple. Beat the Insane level (Level 5 Extreme Boss) & complete the level. No map glitching or bug win allowed. Friendly zombies, admin power usage (infinite ammo, health point regen, !give etc) will result in an invalid win. Server population has to be over 25 ACTIVE players (ZMs + Humans, not including spectators or dead CTs/Ts) in order for the win to be valid. If a player fails the first insane laser and is still a human, it will not be considered a win. Winners will be counted once, regardless of how many wins and at which server. Winners must reach the teleport AFTER the boss fight (Do not kill Buddha). A demo is REQUIRED from all winners to prove legit win. Winners must upload to forum or contact map maker [Airvulpes] if you win. Contest Will include map version v2_13 and newer. Anything older than v2_13 will be considered an invalid win. Contest ends when there’s been THREE confirmed wins world wide. (Note: If the same server wins three times consecutively first, other servers will be given one more chance to take part in the contest until another server wins). Name immortalized forever in future versions of Tilex Ultimate on the winners board at the start of the map. If you wish to win the contest you MUST have recorded the win for proof in order to validate the win with the mapper. You will not be included on the winners board by Airvulpes if a video is not made available. The map only allows 5 attempts at Insane Boss TOTAL. So if you die on level 1,2,3 or 4 leading up to the level 5 boss you LOSE an attempt at the boss. Please download the map before the contest and remember to be on time so we do not waste any attempts. I have attached below some tips & tricks to surviving each of the abilities on the Insane boss level for Tilex Ultimate. If you intend on winning the map, please take a read. Feel free to contact your local neighborhood leader Unorth if you have any questions. After u lose hp down to 1 hp use the big heal. Laser attack will kill players on the platform if not dodged. Go behind the left one and crouch to avoid the lasers. This is a safe spot. Fire damage, use heal before the Exa flare is cast to avoid dying from an explosion. Second heal is used to top people up once the first ends. 2 bridges for zombies will spawn. Stop shooting the boss, look around the platform and find one of the two zombie bridges. Watch the holes on the ground when moving over to defend against the zombies. Do NOT shoot the boss when the boss casts this ability. Fire will spawn on the ground on the person who shot the boss.Instantly move away from the main cluster of players to avoid dying to fire. You need to break the green fire particle on each of the statues around the room before you can return to shooting the boss. The player who picked up the Abyss materia will cast the ability in a safe position. Look for the purple orb and go into it. Dont move once inside as when you come out of the Abyss zone you will teleport. If you move you risk falling down a hole and dying. After this ability one Triangle on the floor will break. There is a set of dark beams which are safe zones. ALWAYS stands on the dark lines to avoid falling down and dying. Vortex towards middle, tap S to stop getting pulled in. The Wind of Abyss ability also pulls slightly sideways in a different direction. When you see this cast MOVE AWAY from any holes on the ground so you do not risk falling down and dying tapping S to run away from the Orb in the middle. Second phase starts when Rezzurection is cast. Additional boss abilities are cast during this phase in addition to Exa Flare, Gaia Rage, Surge Pain, Large Eagre. If 20 players or more alive shoot yellow orb. If less than 20 players shoot purple orb. White particles will spawn around the room. There is a small safe zones around the sides of the room. Make sure you go to the middle of the room when you see Holy cast as you will have the most amount of time to get to the safe zones whereever that may be. Team will continue to take damage. All 3 heals need to be used to get rid of this attack. Team needs to stay grouped up. Use the 3rd heal only one the next ability is case. Jump to avoid taking damage. Spam jump. The ground will fall down when Quake is cast. Stick to the dark beams on the ground to avoid taking damage. 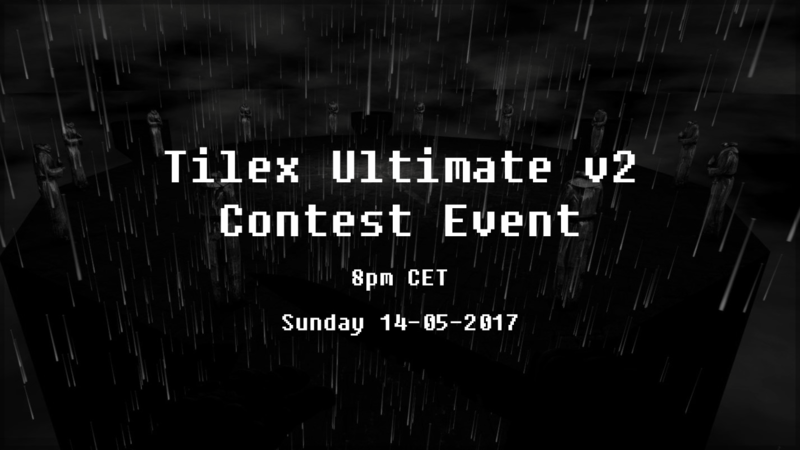 Mapeadores vuelve para competir en el concurso de Tilex Ultimate v2. Las reglas son simples. Batir el nivel INSANE (boss del nivel 5) y completar el nivel. - No se admiten map glitch o victorias buggeadas. - Zombies amistosos, abuso de admin (munición infinita, regeneración de vida, !give etc) darán lugar a una victoria inválida. - Tiene que haber como mínimo 25 jugadores ACTIVOS (humanos y zombies sin contar espectadores). - Si un jugador muere en el primer láser del nivel INSANE y sigue siendo humano, contará como victoria inválida. - Los ganadores serán contados una vez, independientemente de cuantas victorias hayan hecho. - Los ganadores deben alcanzar la zona del teleport después de la pelea. - Se requiere una prueba de vídeo para saber que es una victoria legítima sin trampas. Los ganadores deberán postearlo en el foro o contactar con Airvulpes. - El concurso tendrá la versión v2_13 como punto de comienzo. Alguna versión anterior sera contada como inválida. - El concurso termina cuando hay 3 victorias confirmadas / ganadores en todo el mundo. Nombre inmortalizado para siempre en el tablero que hay en el spawn. Si deseas ganar el concurso, DEBES haber registrado la victoria hablando con el mapper. Si no hay video, tu nombre no será incluido en el tablero. El mapa solo deja 5 intentos en el nivel INSANE. La posición predeterminada es hacia el norte (mira la flecha del minimapa para guiarte). Después de perder vida hasta quedarte a 1hp, usa curar. El ataque láser matara a los jugadores si no se esquiva a tiempo. Mira hacia las estatuas del norte y vete detrás de la estatua de la izquierda y agáchate para evitar los láseres. Daño de fuego, usar curar antes de que la llamarada salga para evitar morir. Usar la segunda cura cuando se acabe la primera. Saldrán 2 puentes para los zombies. Deja de disparar al BOSS y defiende. Ten cuidado con los agujeros que aparecen en el suelo. No dispares al boss cuando use esta habilidad. Saldra fuego en el suelo sobre la persona que le disparo. Intenta alejarte lo máximo del grupo de jugadores. Dispara a las partículas de fuego verde que tienen las estatuas para destruirlas. 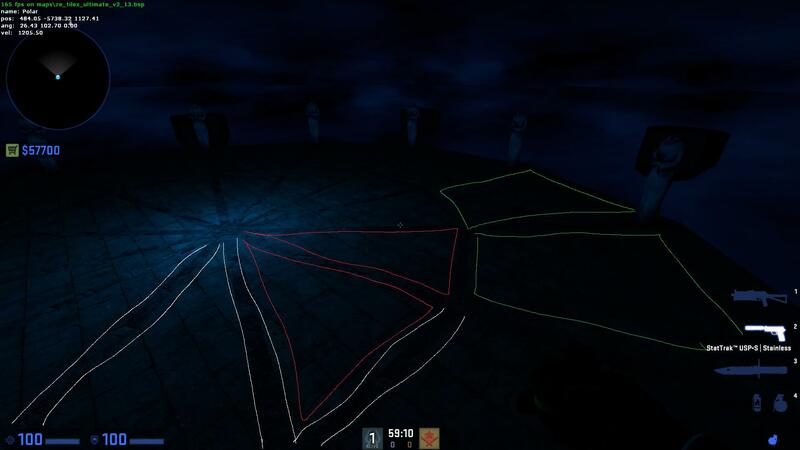 El jugador que tenga el objeto Abyss lo lanzara en una zona segura. busca el orbe purpura y entra en el. No te muevas de dentro bajo ningún concepto o seras teletransportado. Vortex hacia el centro, presiona “S” para que no te absorba. Esta habilidad puede moverse hacia los lados. La segunda fase empieza cuando el BOSS ejecuta Rezzurection. Durante esta fase hay habilidades adicionales del boss. Si hay 20 jugadores o más vivos disparar al orbe amarillo. Si hay menos de 20 jugadores, disparar al orbe púrpura. Unas partículas blancas aparecerán en la sala. Hay unas pequeñas zonas seguras en algunos lados. Asegúrate de ir al centro cuando veas este ataque, ya que tendrás mas tiempo para llegar a las zonas seguras. El equipo recibirá daño, y las 3 curaciones deben ser usadas. El equipo tiene que estar agrupado. I really appreciate the effort you put into this thread. Hope that we get the people who read this to play with us then it should be an easy win. Yellow is Boss #2. Abilities: Haste, Curaga, Holy, Quake, and Mortal Disease. In the second phase, Boss #1 will use Rezzurection and come back to life, while Boss #2 joins in. So there will be 2 bosses with their own sets of attack. After one dies, their set of attack will not be used anymore, i.e. if Boss #1 dies, notably there will be no wind of abyss and zantetsuken, which makes the middle of the platform the default position. There will also be no Gaea Rage, so we don’t need to defend zombies anymore. It is where the dark beams meet so it will always be safe to stand. Closer proximity with all 3 heals to counter Mortal Disease. The boss area platforms are made up of dark lines with panels between them. Red triangles are inner panels, green rectangles are outer panels, white lines highlights the dark lines that never breaks. 2 panels break after Gaea Rage and Quake. Large Eagre attack doesn’t break the panels (I just tested and confirmed). After each Gaea Rage and Quake, 1 random inner panel and 1 random outer panel will break, always. Stand on the dark lines all the time, they will always stay intact. 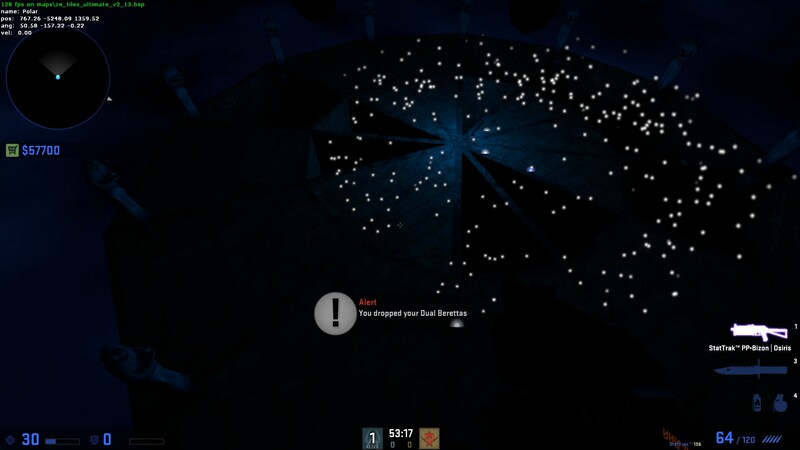 Holy: Spawns a circle of white particles (centered on a random human, not 100% sure on this). I feel this attack confuses many players from their perspective, but from a bird’s eye view, we can see the attack clearly. To survive, find a direction with the least amount of particles and run forwards until you are away from the white particles. Mind the gaps on the floor, use the dark lines. There are two more attacks that isn’t very clear, Curaga and Haste, both of which I will speculate their effects based on my experience. Curaga: Based on the animation, which is the same as heal item, I assume this is heal for the boss. Haste: Based on the name, it is possible that this speeds up the bosses’ attacks, since they don’t move faster because they don’t move at all. There are 3 Heals and 1 Abyss. To activate/use and item, aim at the particles and press E (your use key). Heals have a 20 seconds cooldown, which is quite short for the first phase so they can be used semi-freely, it should be good to use one during surge pain in case people kept shooting and causing team damage. Heals up humans to 250 hp, heal effect lasts for ~6 seconds. In the second phase, heals usage should be more strict due to mortal disease and possibly faster attacks with haste. Abyss has about 40seconds cooldown and should only be used for Large Eagre. Thank you for organizing this event and making the description of the fight! I’d still like us to discuss/clarify a few details of the fight. While in the previous version of the map (2_12) the maximum number of attempts to beat Extreme boss on Insane level (level N 5) was 5, in the new version (2_13) it has been reduced to 3 or 4 (I’m not sure about the exact number). As usual, we lose one of the available attempts each time humans lose any of the first 5 levels of the map. After all attempts have been spent, we face only Normal (not Extreme) boss on the Insane level of the map. And for the contest we must beat the Extreme. When facing the Normal boss, there is only one phase of the fight – against the purple orb. When facing the Extreme boss, there is also the second phase of the fight – against yellow and purple orbs. This boss does a lot of damage that needs to be healed through, and it’s very useful to renew (rebuy) kevlar during the fight. The text chat command for quickly buying kevlar on the server is “/kevlar” or “!kevlar” (the first variant is invisible to other players and thus allows to buy it without spamming the chat). To be able to buy it with a single key press I’d recommend to make a key bind for it in your autoexec.cfg file, like this: bind “k” “say /kevlar” (where you can certainly use any other key instead of “k”). I’m sure that parts of the platform break after Gea Rage attack (2 pieces each time), and don’t break after Large Eagre. As far as I’ve noticed, Holy spawns at the location of a random player. If the targeted player is near the middle of the platform, it can be hard to find a safe spot. So I would prefer if everybody stayed stacked together where we are at the moment (usually in the North) until the white particles appear. Curage means that the yellow boss heals for 600 hp that is why you only shoot that boss if you have the numbers just like unorth explained. We are allowed to use beacons we just beat it on a server with Airvulpes being present and the win was legit. Yes after Large Eagre no Platform breaks , notice if the Abyss is on Cooldown (40sec) you should move to the middle of the platform and crouch that is the best you can do. Just like Firestarter explained the best strategy is to stay together as a team right infront of the statue. For clarifications during the Event as there is no entWatch we need to clarify the healers just give yourself a number if covering the item 1,2,3 try to do that in chat, it doesnt matter what heal you pick to write a number that is only for team coordination so if you are the first to pick a heal type 1 if 2 players type 1 at the same time you simply look at the chat order and the guy who wrote it after the first one types 2 etc. Heal 1 will be used always unless that player says that he cannot use it if you are carrying an item you should try to note the times where you use heal since there is no entwatch. Just like Unorth explained Heals should be used to stack up the HP of your team aslong as there are 3 Heals available that means as long as there is a backup heal that is why it is so important that you coordinate with the other heal players dont hesitate to interrupt others who are speaking, for that. The Boss should not be too difficult just please… do not shoot the boss on surge pain kill the statues ASAP and perhaps if someone has the eye for it call when the statues are shot since the animation is not so clear. You have 9 Rounds in total to play the Insane Extreme Boss. 9-4=5 Rounds Left for insane extreme. I believe that the Round system is working so just look at the scoreboard. Yes Hisoka Your totally right buddy. i hope on the event will not everybody talk and only the leader and in my opinion there are not better leader then Unorth because he knows everything ASAP ! PLS listen only to Unorth if you want to win this Map its to ez only you need is LISTEN Nothing more. I’d like to make sure that we are using the same time zone for the event time announcement (just in case): it is CET[/URL] (GMT+1) and not [URL=‘https://www.timeanddate.com/time/zones/cest’]CEST (GMT+2), right? As to the boss fight, there is a new description of the fight on the Japanese forum (published yesterday). I’ve read it with the help of Google Translate. It says that during “Holy” boss attack some white particles spawn around every player, and recommends to avoid being scattered and run to safety after the white particles solidify to some extent. After reading it I’ve made another try at the boss, and after watching the “Holy” a few times again I’m pretty sure that they are right. So I would still prefer if for “Holy” everybody stayed stacked together where we are at the moment (usually in the North) until the white particles appear. And we should try to never spread out too much while the Yellow Boss is alive (except for when the boss has already cast “Holy”), or there might be no safe spot when “Holy” is cast (as any amount of white particles is going to kill you). We can also, but we prefer to do legit normal win, harder, just need people to listen. Let Airvulpes know if he missed anyone from the list. Well done to the contest winners. Airvulpes got all contest is closed if you cannot find your name on this list contact airvulpes . Airvulpes got all you mentioned . The contest is closed ,if you cannot find your name on this list contact airvulpes .